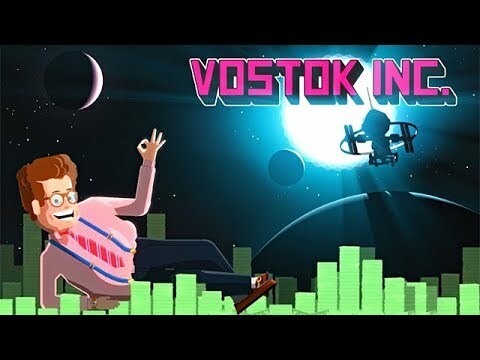 Full access to Vostok Inc.
You’re the newly appointed CEO of Vostok Inc. As a greedy space capitalist, your ultimate goal is to get filthy, stinking rich. First, you’ll need to raise some start-up capital by twin-stick blasting enemies, asteroids and anything else that gets in your way. Once you’ve collected enough moolah, it’s time to land on planets and start mining, terraforming and colonizing. Use that extra moolah to upgrade your ship, craft weapons and build more planet-side business enterprises to rake make even more moolah. With your pockets overflowing, you’ll be able to expand beyond our solar system across over 40 planets. Recruit managers, play awesome retro inspired mini-games, fight evil bosses, and listen to a thumping customizable synth soundtrack while letting the moolah roll in.